← It’s a chocolate chip miracle! Yes, I’m on a bit of a President’s Choice kick this week, I’m trying out some of the new Black Label line. 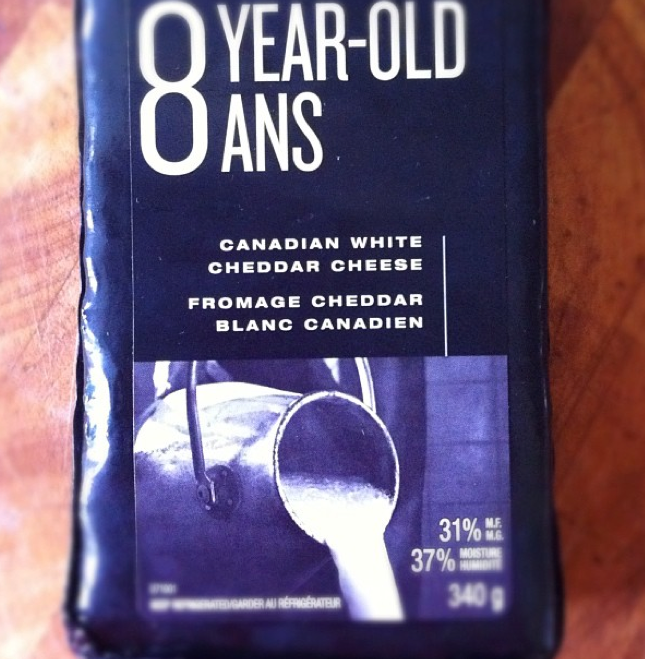 Today for breakfast I cracked open the 8-year old cheddar. The PC cheddars are made for Loblaw by Mapledale and I’ve been a fan for a while. Their 1 and 2-year-old cheddars are a staple in my cheese drawer. Mellow but flavourful and I love the creamy finish. This 8 yr old packs a wallop of flavour from first bite. It has the expected “sharpness” of an aged cheddar though I hesitate to use the word as I sometimes associate that with a higher acidity or hints of bitterness in some older cheeses. This guy is very smooth and rounded. 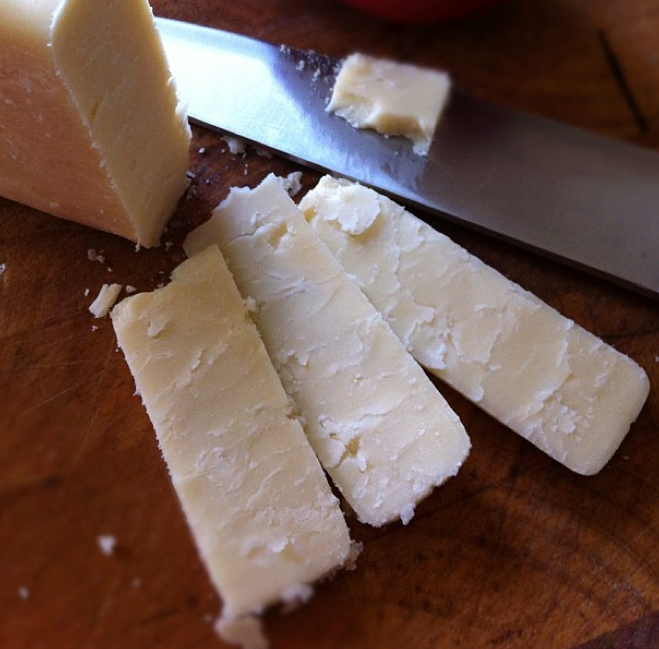 Not so crumbly that it won’t hold its shape when sliced and it melts in the mouth to a creamy, delicate finish. I think this is perfect for pairing whether on a cheese board with a chutney or made into a sandwich with some Branston pickle. The label says this cheddar is made from unpasteurized milk which I take to mean thermalized (still heat-treated but a gentler process). Price? Probably around $12-$13. And in the case of this elderly gent, a little goes a long way.